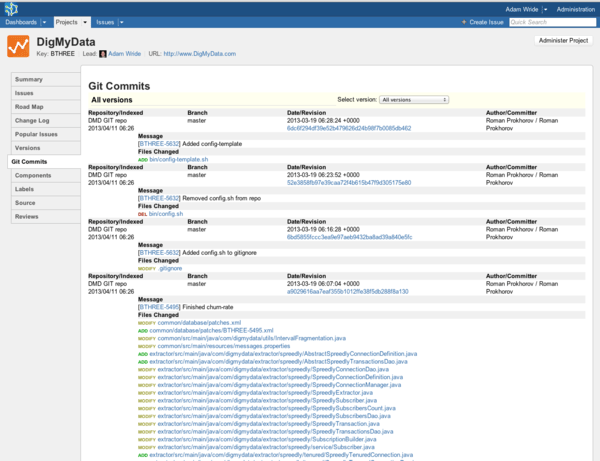 This page contains related questions on Git Integration for Jira add-on user experience in Jira. How do I see if work has really started on an issue? How do I see who has worked on an issue? How do I see how long ago since someone worked on it? How do I see what is being changed in this ticket? How do I see what is getting attention in this release and previous releases? 1. How do I see if work has really started on an issue? Open an issue in your browser and click on the Git Commits tab. If the tab says that no Git log entries have been found, then work has not yet started on the ticket. 2. How do I see who has worked on an issue? 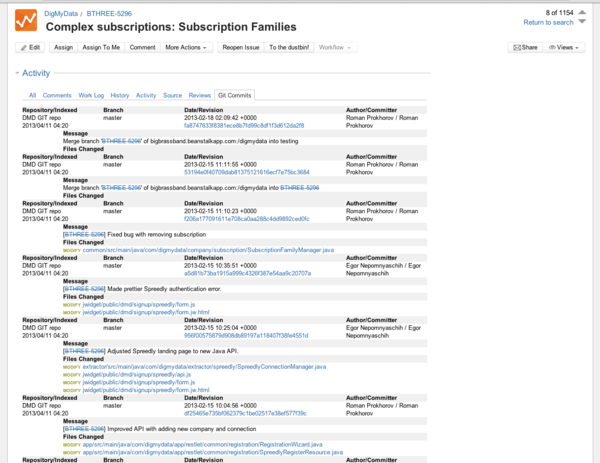 Everyone listed in the "Author/Committer" column has worked on the issue. 3. How do I see how long ago since someone worked on it? All changes to source code are listed from newest to oldest. The date/time in the "Date/Revision" column on the first line is the last time changes to the issue have been submitted into Git. 4. How do I see what is being changed in this ticket? When a developer submits a change to Git, they can type a brief message that summarizes the changes. These messages show up under the Committer/Author's name. The files that were changed by the developer appear as clickable links. column. Click on the file links to view the actual source code that was changed. 5. How do I see what is getting attention in this release and previous releases? All changes in all issues will be present. If you use the "Version" tagging feature of Jira, you can filter the changes by version.